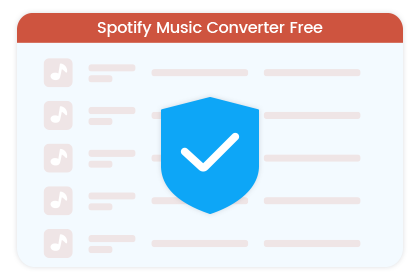 Sidify Music Converter is specially designed to let users download and convert Spotify tracks or playlists to popular formats like MP3/AAC/WMA/FLAC. Useful Spotify Music Downloader: download Spotify tracks or playlists to MP3/AAC/WAV/FLAC. Bring Music Pocket Everywhere: enjoy Spotify music on multiple devices like iPhone, iPad, iPod, MP3 Player, Car Player, Android Phones. Easy to use: no plug-in installation and no need to subscribe to Spotify Music service. Burn Spotify Music to CD or Share via Email. Sidify Music Converter Free is not only a Spotify muisc downloader, but also a CD burner and music sharing platform. It supports one-click to burn the downloaded Spotify music to CDs directly. 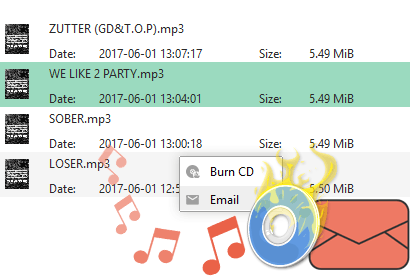 You just need to insert a blank CD after successfully downloading Spotify music, then click on "Share" button and choose "Burn CD" to start the burning process. After successfully download Spotify music, you can click "Email" to share them to your families or friends. 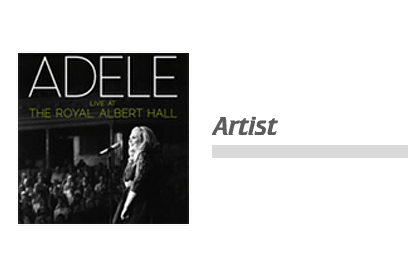 Sidify Music Converter Free will preseve ID tags like Artist and Art Cover after conversion, so that you can manage your music library easily. 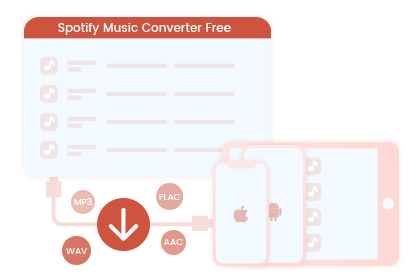 Batch Conversion is also fully supported by Sidify Music Converter Free. You do not need to download Spotify music one by one, just add all the Spotify tracks or playlists to the adding window, and Sidify Music Converter Free will download them in bulk! The clean and straightforward user interface makes Sidify Music converter Free very easy to use, no complicate setting and steps. No Ads, no Spyware and no malware, you can feel free to use it. Sidify Music Converter Free is fully compatible with Windows 10/8/7/Vista/XP. Auto-check for updates ensures you get the latest version of the program when the new version is available. Your application is running beautiful. Thank you guys for the free version, you are an awesome team, Rock on!